I am one person who does not bake. I don’t like kitchen wahala at all. My mother as a retired chef always tells me that a chef must bake at least one pastry or cake. Apart from my unconventional rum cake, I decided to try my hands on the Nigerian meat pie. I went researching using some Nigerian food blogs on how to make this particular type of pie and I really could not relate or understand some recipes and why they looked so similar yet different. So I said to myself “abeg do your own.” I tried making the meat pies the first time, but the crust came out a little dry so with the left over meat pie filling I had, I decided to try making some again. This time it came out perfect and flaky. “What did I do different?” I sat and asked myself. It was the butter, I used a really good baking butter and adjusted the ratio of flour to butter. Say for instance you want to bake the Nigerian meat pie with two cups of flour. Then you would use a stick of butter; where one stick equals half a cup. Secondly, I did not use any baking powder. Yeah, yeah I know no baking powder right? Well I had forgotten to use some, so I quickly asked my friend Shakirat of 9jafoodie.com(please be sure to visit her website as it is beautiful and her recipes are awesome) and she said try to make another mix with baking powder and fold the first one in. It was a practical advice, but my lazy behind was not having it, so I decided to ask my sister Ify, she runs a food blog of her own, eatingnigerian.com(Please be sure to visit her website. 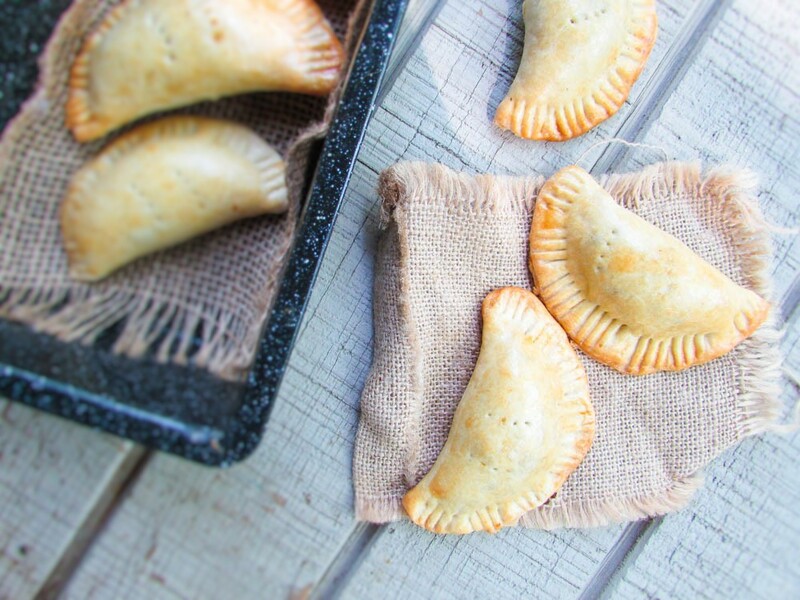 Only her pictures alone will send you to foodie heaven) and Ify said “No baking powder is needed for meat pie.” I said “well I want to do a new mix and fold in with baking powder.” “Well yes,” she said “but it is not necessary. I never use baking powder for meat pie.” Okay I decided to take the chance and try it out and viola! My baby girl even had the idea to make one into a dumpling which we tried. Everything turned out perfecto and screaming fabulousity! Ps…my recipe is a little long because I tried to explain each step. Please patiently follow the recipe and you will not regret it. This is a Nigerian starter/snack. It can also be made into mini pies. 3cups of all purpose sifted flour. 1 cup of cold cold evaporated milk or cold water to mix(you may do half cold water and half cold milk). I like to use milk when I make mine, and I have also used only cold water. !Make sure you work with the cold dough as fast as you can, so that it is still fairly cold by the time you put the pies in the oven. !I also used butter for this recipe. If you cannot find a good pastry butter; then margarine works fine. !for sealing, use a mix of water and flour. This helps to seal the pie. This entry was posted in Appetisers, Appetizers, Beef, chicken, Nigerian snack, Snack, snacks, Uncategorized and tagged chicken pie recipes, meat pie recipe, meat pie recipes, meatpies, Nigerian meat pie, Nigerian meat pie recipe. Thank you. I have been a blogger. I just never focused on it. I am here now and I am loving it. Thank you for visiting our website. Thanks Nma for this i actually made this on Saturday,but wasn’t satisfied with the crust now i know why i didn’t let it sit in the refrigerator,i ‘ll try it again thanks to what i learnt from you. Thanks Nma for this recipe,i actually made thee on Saturday but wasn’t satisfied with the crust now i know why cos i didn’t let it sit in the refrigerator,i will try it again thanks to what i learnt from you. Thanks Nma for this recipe,i actually made these on Saturday but wasn’t satisfied with the crust now i know why cos i didn’t let it sit in the refrigerator,i will try it again thanks to what i learnt from you. You are welcome dear Folake. Please let your dough sit in the fridge before using it. And please share once done. You the real mvp darl. The recipe portions was just right. My biggest issue with the recipe I’d tried previously was the size, it was just to much to mix and itoverwhelmed me. I just stopped trying. Hi, i just heard from a friend that i should add milk and butter to the meatpie filling, am thinking of trying it but have never heard or seen it anywhere so am a little worried. What’s your opinion about it? Lovely crust, just made some with my son. His verdict is ‘yummy’! How long can I store meat pie in the fridge? Id say a few days. I would do freezer. I hope this helps. Pls I want to ask a qst,in a situation were I dnt hv a refrigerator, cnt I use d dough lyk dat? Hi. You could have over handled the dough. I’m not sure. Please let me know how you mixed your dough.